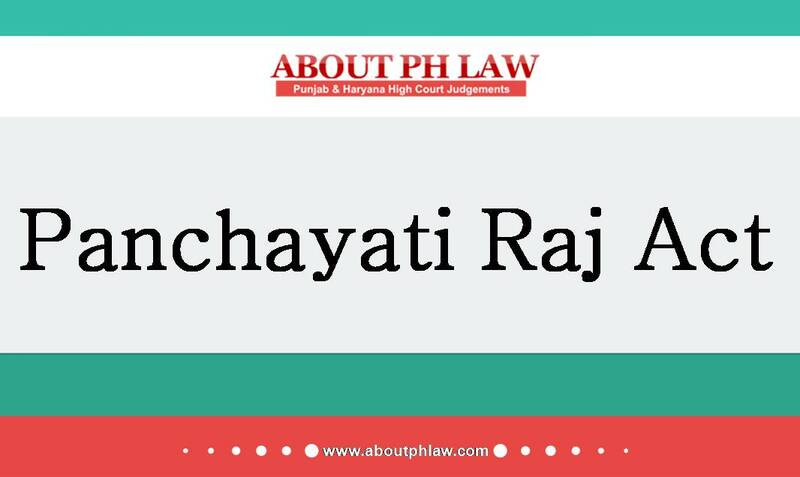 Panchayati Raj—Appointment of Administrator—Once the order appointing administrator held to be illegal then auction conducted thereafter is also non-est. Comments Off on Panchayati Raj—Appointment of Administrator—Once the order appointing administrator held to be illegal then auction conducted thereafter is also non-est. Punjab Panchayati Raj Act, 1994, S.38–Election petition-It has to be submitted by the candidate in person-Punjab State Election Commission Act, 1994, S.76. Comments Off on Punjab Panchayati Raj Act, 1994, S.38–Election petition-It has to be submitted by the candidate in person-Punjab State Election Commission Act, 1994, S.76.